This column is the second of a three part series, each a step-by-step itinerary for three different sight-filled days of the wonders of London! 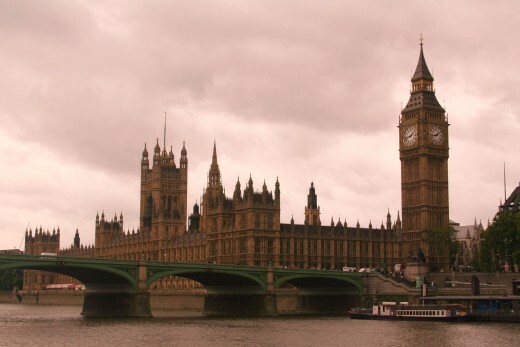 To see London, Day one, click here....that day includes Buckingham Palace, Changing of the Guards, Queen's Gallery, Royal Mews, St. James Park, a stroll across Westminster Bridge over the Thames River, a sunset ride on London Eye and an evening meal at a nearby pub. London, Day Two will set out a day seeing Trafalgar Square, National Gallery, National Portrait Gallery, a Thames River cruise, the Tower of London, Crown Jewels, exhibit of Renaissance suits of armor and weaponry, Medieval Palace rooms, Tower of London prisoner's exhibit -- remember Anne Boleyn? 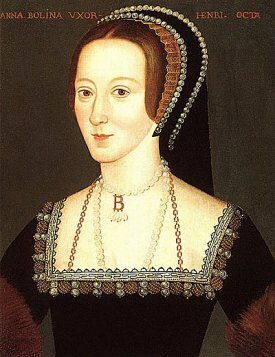 Catherine Howard? Lady Jane Grey? London, Day Three, not yet published, will include Victoria and Albert Museum, Kensington Palace and Westminster Abbey. Trafalgar Square, it's very name a reminder of England's strong military history. During England's Napoleonic Wars, the Battle of Trafalgar was a great victory. Admiral Lord Horatio Nelson's Memorial Column and focal point of the square (besides the imposing National Gallery) is also a military memorial. 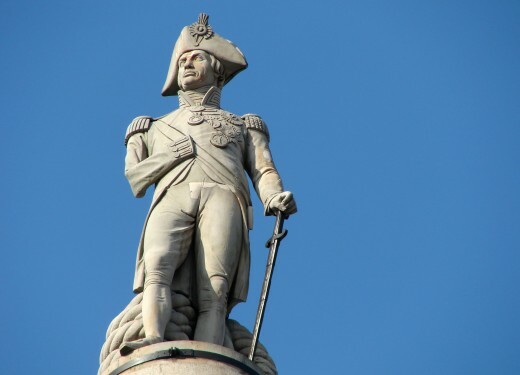 Nelson met his death at the Battle of Trafalgar, but in earlier battles had lost his right arm and right eye. From the ground, surrounded by huge lion guardians, to the top of Admiral Lord Nelson's hat is almost 170 feet (about the height of a 17 story building). Since so much of London's architecture tops out at about five stories...this column stands WAY taller than almost everything else in the city! 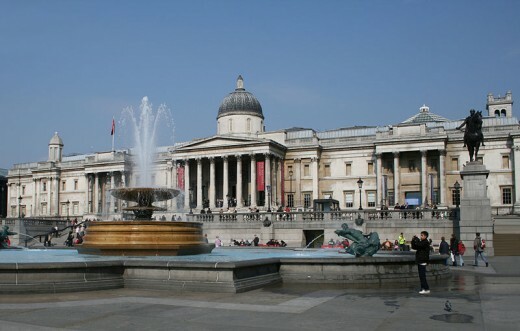 The most imposing sight at Trafalgar Square, and one of my favorite spots in London, is the National Gallery (see photo below). 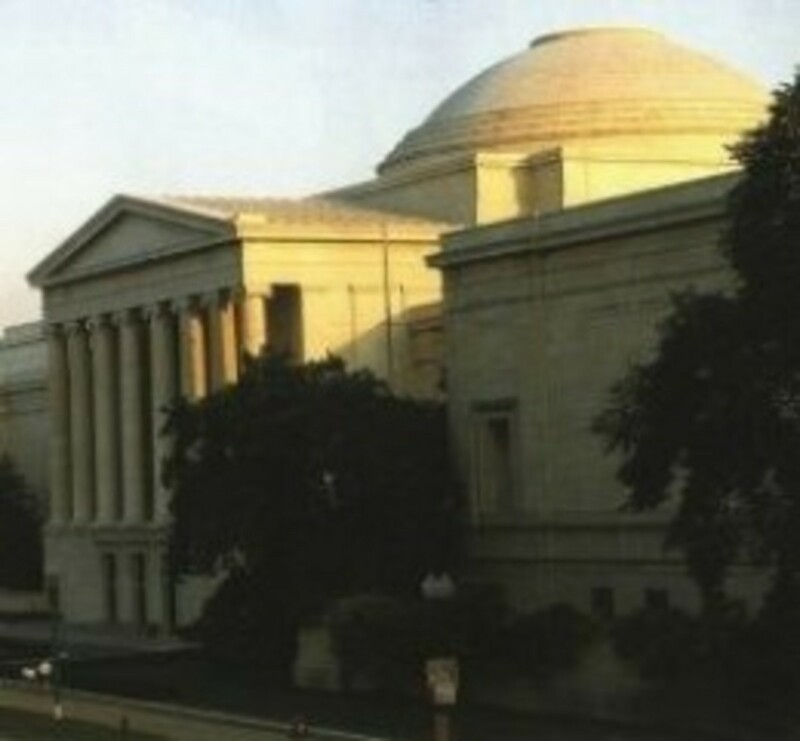 Much like Paris' Louvre Museum, the National Gallery houses a great collection of international art from Medieval to Early 20th Century from throughout the world. And, like many of London's famous and fascinating sights, it's FREE. If art from around the world not your cup of tea, but a in depth look at England's famous and infamous...the National Portrait Gallery is right around the corner, immediately behind the National Gallery, and is also FREE. 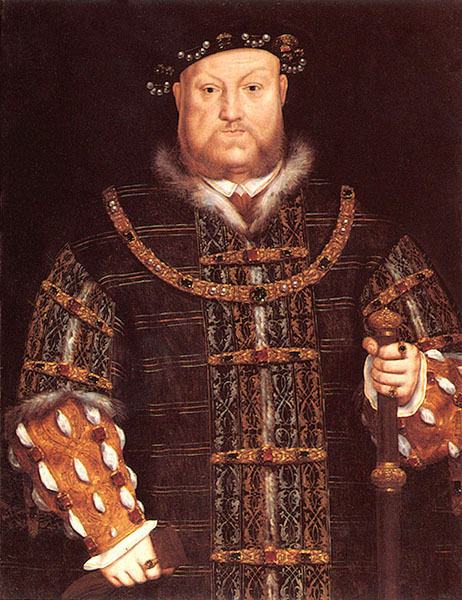 The Portrait, above, of Henry VIII hangs in the National Portrait Gallery. The short video below gives a glimpse of the Trafalgar Square Plaza and the scale of Nelson's column in relation to the surrounding architecture. The National Gallery...trivia: A statue honoring George Washington is out front! Forget tourist photo with Nelson's lions, get one with Washington! Soaring rooftop views from restaurant atop National Portrait Gallery, Trafalgar Square. That's Big Ben at the Thames in the distance. Lunch at The Portrait...The Views from top floor! Wonderful! As I said in Day One, a leisurely attractive lunch is a better way to spend one's food budget than an expensive dinner. When one's a tourist, with all the coming and going and standing and looking, by evening it's time to be worn out! So, with that in mind, my lunch recommendation is to enjoy the restaurant at the top of the National Portrait Gallery (see map below, right behind National Gallery. 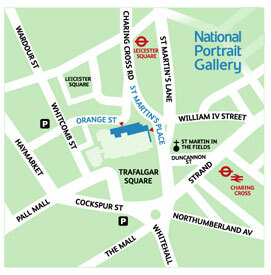 The blue building in map behind National Gallery's white building, entrance on St. Martins Place). There are very few places in London to get up high and enjoy the views, this is one of them! Another note: The bar, like the Gallery, is open late on Thursday and Fridays, last orders at 8:30PM. Great sunset, evening views. 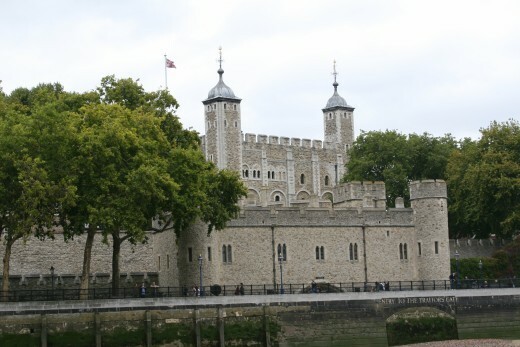 Take a short cruise on Thames River to Tower of London, a scenic trip, with informative narrator. Here a view Westminster Pier area, 'under' Big Ben tower. Off to the River for a cruise to the Tower of London. 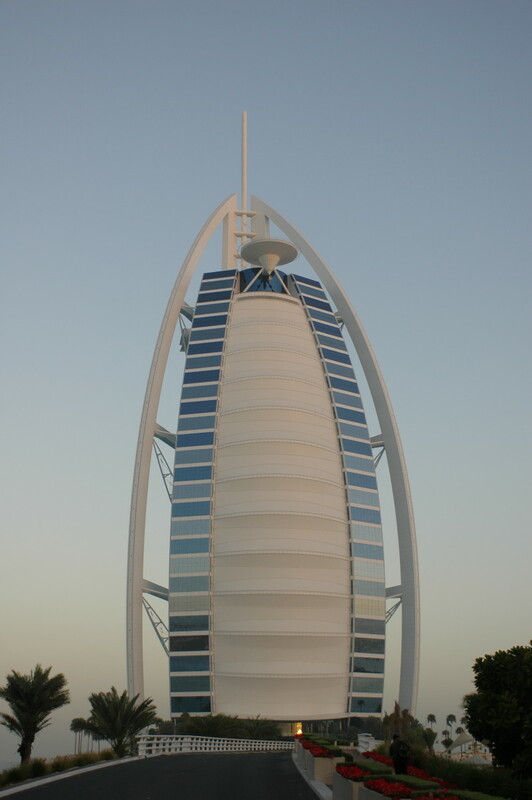 Wonderful sights along the way! After a morning inside museums, it's time for you to get outdoors a bit ....head off for your river cruise, following Whitehall Road just opposite Nelson's column (see map above) and your visit to the Tower of London. If you want more time at either the National Gallery of the Portrait Gallery, they are open late on Thursdays and Fridays until 9pm. Other days they close at 6pm. For a City Cruise trip on the river, the Round trip fare is just under 9 Pounds per adult. The City Cruise river ferries leave Westminster Pier about every twenty minutes from 10:40 a.m. through the day. After a morning at museum, a leisurely lunch, the walk down Whitehall, set your sights on making the 2:15 or 2:40 trip. In the photo above, you can see the steps leading down from bridge to pier area. The Tower closes at 5:30pm, so a return ferry to the Westminster Pier could be as early as 5:40pm. There are four ferries from Tower Pier to Westminster Pier from 5:40pm, with the last at 6:50pm. These later boats could give you a chance to explore the Tower area a bit before returning to the Westminster area. The map below a bit fuzzy, on the far left is Parliament, and the Tower of London is just right of the middle. With plenty of historic buildings and memorials between the two sights, the narrator will keep you pleasantly and humorously occupied during the short river cruise. 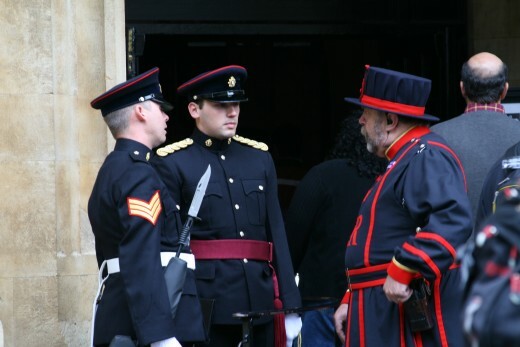 Two guards for the Crown Jewels and a Yeoman Warden, whose tour of Tower's sights is included in your admission price. The Tower of London offers hours of interesting sites for all sorts of interests. Want to see the fortress that's been in existence since William the Conqueror? This is the place. Want to see the glittering historic Crown Jewels, including 10 feet tall screen video of Queen Elizabeth II wearing the jewels at state ceremonies? This is the place. Want to see a fascinating exhibit of Henry VIII's suits of armor, from boyhood to overweight middle age? 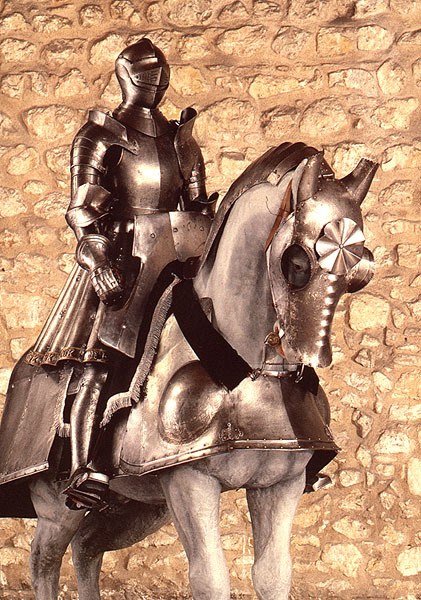 Armor for horses? Renaissance era weaponry of all sorts? This is the place. 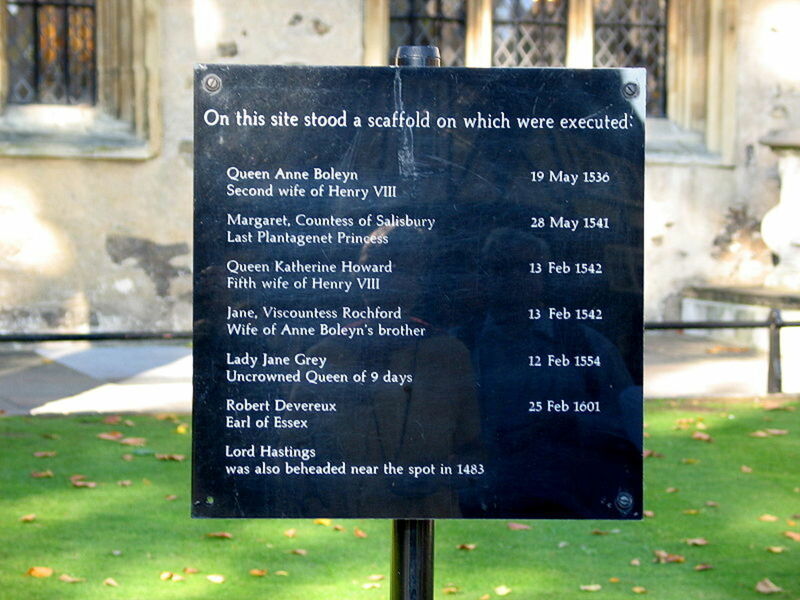 Want to see the sight where Anne Boleyn and other Tower prisoners were imprisoned and ultimately were beheaded? This is the place. 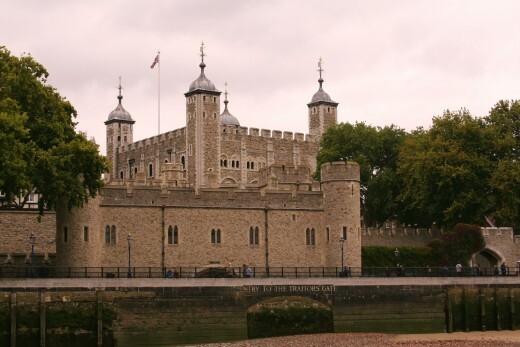 Want to see costumed re-enactments of robbers attempts to steal the crown jewels? Want to see an 11th Century Chapel? This is the place. 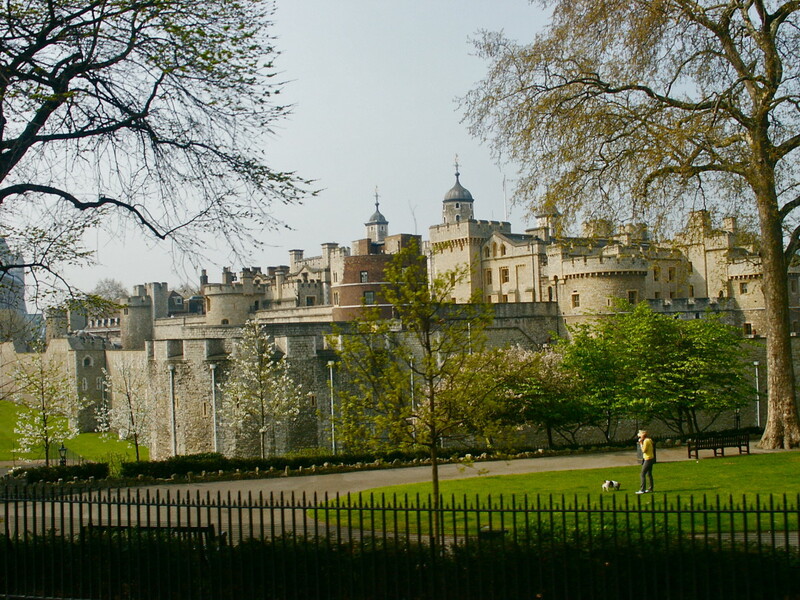 The Yeoman Warden tours are about 60 minutes long and start on the half hour. Tours are included in the 16 pound adult price (discounts for students and seniors). Audio tours are also available. Also, new to the Tower, is the Armouries cafe. Food served all day long. But, if you didn't get to the Marriott County Hall's Library Lounge on Day One, I'd recommend a stop here for a later afternoon snack with it's amazing views of the houses of Parliament and London beyond. So now you've been to the Tower of London....so many sights to discuss over a cup of tea, glass of wine or other early evening beverage. You've landed at the Westminster Pier but can't stand the thought of walking back over the Westminster Bridge to the Marriott (plus, you were just there last night). My recommendation for this evening? The OXO tower's lounge/bar on the 8th floor. This 1920s building....not at all old by London standards has a great spot on it's eighth floor for taking in the sights. No doubt the narrator of your river cruise mentioned this spot in his talk about buildings along the Thames. 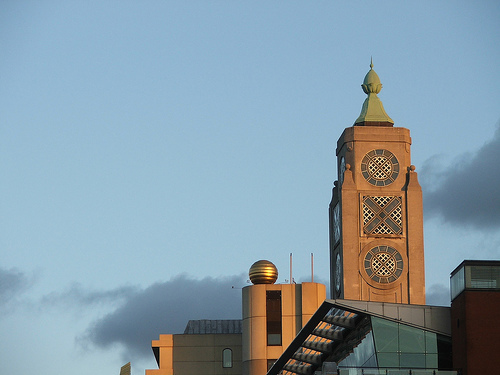 Plus, with all the sights of the day, if you haven't had enough actual shopping, there are 50 shops at the OXO tower building, most open late. If you're getting off the city cruise boat at Westminster Bridge Pier, and you're tired from your long day...you might want to cab it to OXO building, as it's on the opposite side (south bank) of the river, and quite a way beyond the London Eye. Plus, the funky black cabs of London are so different that USA taxis, you'll want to take one sometime during your visit, it's part of the London Experience! If you're a fan of Tripadvisor.com, the reviews there will be consistent that the OXO Brasserie has the best views anywhere in London, but the food reviews are hit and miss. I say...go FOR THE VIEWS! Great food can be had many famous places in London, and always for a great price, same as any other city ... BUT to get views like this in London...not so easy! Don't stay for full dinner, but what a place to relax, have a glass of wine (or two, after all you're not driving) and a nibbly...leisurely, even romantically, take in the views, and reflect on all you've enjoyed seeing this day AND the day before. Get a good night's sleep...tomorrow it's Day Three! Wondering where to stay in London? 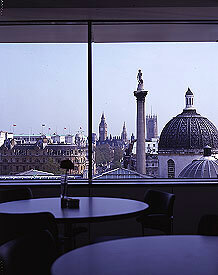 Check this out... http://hubpages.com/hub/London-hotel-favorites Enjoy and Cheerio! dear desert blondie: Fantastic hub--very useful, in-depth and the artwork was fabulous. I have this friend, really, who loves travelling, so I might get him to read your hubs. You are an excellent writer. I also love The Tudors TV show! Thanks for stopping by! London is jolly fantastic. Nice work! And I have heard they are making another season of the Tudors.. can't wait! I'm not sure about the dollar, but there's been quite a lot of fuss here because the pound is approaching parity with the Euro. The pound...the Euro...the dollar...all have taken quite a beating lately. Haven't actually checked, lately, the pound-dollar status recently. the pound's fallen off a cliff in the past few weeks - but more against hte Euro than the dollar, I think? I agree ... pacing a bit slower would be fantastic!!! But, the dollar still so bad against the pound, I was trying to show that these days could be 'packed full.' 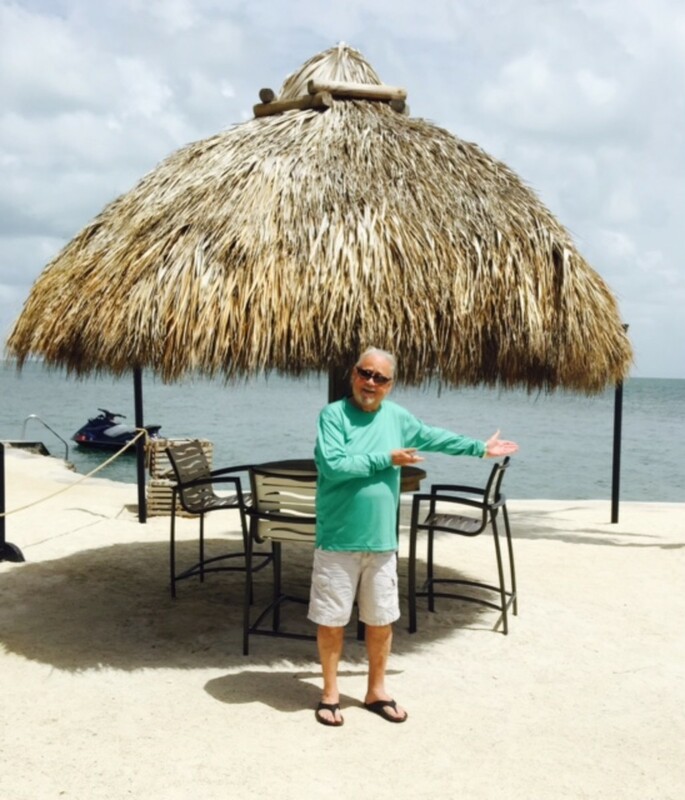 Leisurely is always better, no matter where the trip takes you! I adore the Tower of London. Perhaps it might be an idea, though, to pace things a bit more? Otherwise it might all seem a whirl! Thanks again, Duchess...boy, I really enjoy typing out 'duchess' ... it just rings of English tradition....you chose a great hub name! I appreciate that you think I've worked out the days well for my fellow USA vacationers, I mean holiday...you know...tourists! It was fun to remember my own trips....I can't wait to return....blast that USA dollar...it really is horrible against the pound right now! Day Three is ready for you to critique! oops - forgot to say ...... you mentioned that sometimes rushing to see so much is counterproductive - I agree. But good planning (like yours) solves this problem. You can get to see a lot - but hopefully in an enjoyable way. hmmm ..... did I say that already (LOL !!!) oh well it can take repeating ! I totally understand why visitors from the US would feel that way. You have all spent a lot of money and your very precious time on the holiday (oops ... vacation) and it is perfectly reasonable for you to exspect a good return for that investment. (Actually I am exactly the same way). You covered a lot of ground - but in a clever way. Your hub is a useful tool for anyone coming to London. I have always found American visitors knowledgable, enthusiastic and very likeable. 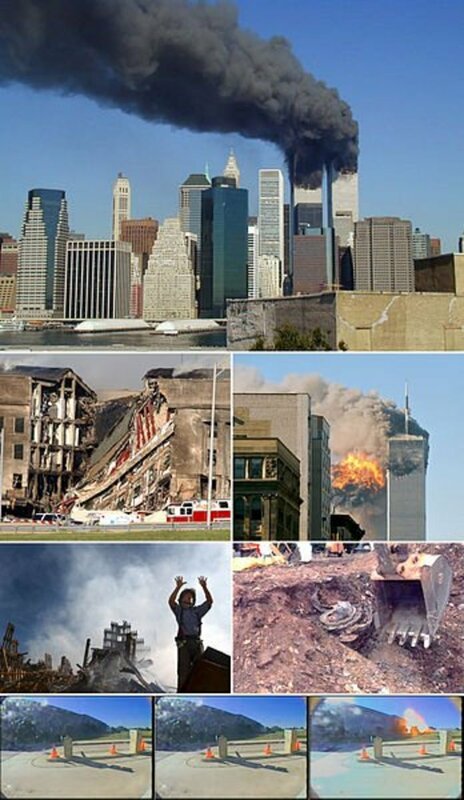 Simply the best &quot;tourists&quot; around. Duchess and Dottie, Thanks for stopping by and for your compliments. To Duchess, Yes, I am trying to cover a lot of ground in each day. My experience with my fellow USA visitors, no matter where there traveling, as a rule, really want to see it ALL, as quickly as possible. Because even though they are on vacation...they don't want to 'waste' time. Not advocating that this is a good or enjoyable mindset, it just seems to be the case. Golf vacations, spa vacations, city vacations, my fellow countrymen don't seem to be too much for relaxing and taking things a bit slower. What a pity, isn't it? Thanks Desertblondie for showing us some of the Wonders of London. Beautiful pictures, beautiful hub and lucky you! Wow ..... Blondie you sure can travel and cover a lot of ground in a short amount of time. 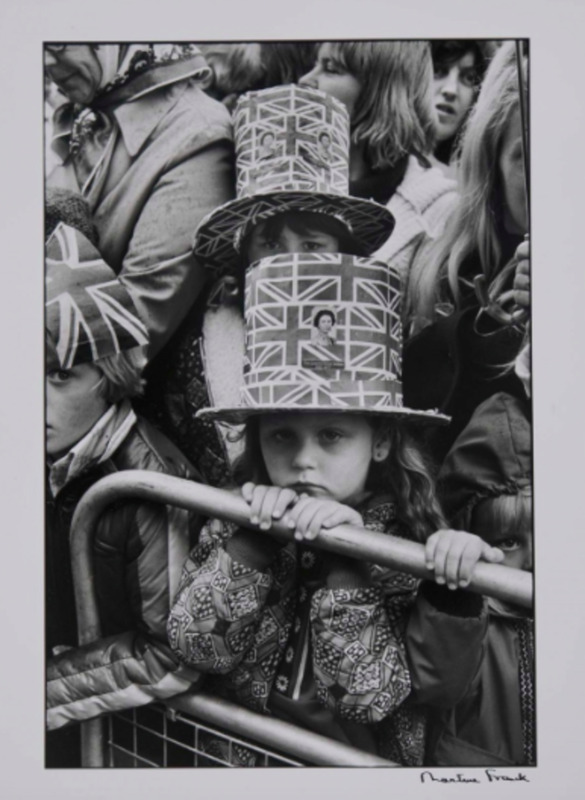 I used to love going to Trafalgar Square to feed the pigeons when I was a little girl. Some years back (a couple of days before he got married) a group of my sons friends threw him in one of the fountains - I guess the tourists would have enjoyed that !!! Again, Your article makes me want to return to the land of our forefathers! I am excited for day 3 b/c I haven't been to Kensington and am interested to see what you have to say about it and any pictures you might add. Hmmm...maybe for dinner I'll go find some bangers and mash or pie and chips...yumm! I agree...one of the best in the world! Thanks , Indexer, nice to have a true English gentleman correct my USA ways...you'll see, I'll go edit and fix right now! I'm a lover of all things English for decades...and after a few trips to other cities in Europe...they speak English in London!!! Cuts down the stress level tremendously when one travels alone! Thanks for stopping by! What a tour!! Wish I were there! Will probably never travel there but you certainly know London! !